Homeautomation, Sensor Reading and Beer Brewing. What else can we do today? 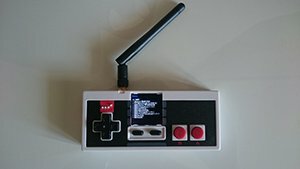 Inspired by a DEF CON talk from Marc Newlin (MouseJack) and Samy Kamkar (RollJam) I was wondering what else could fit inside a good old Nintendo controller. The ones I am using are clones and can be found on ebay for about 4$. 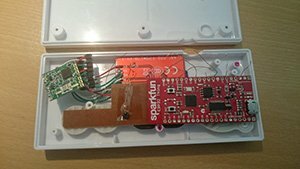 After some time of prototyping, cutting, soldering and programming I finally was able to get my ESP32 (Sparkfun Thing) with a Li-ion battery a ST7735 LCD and a small RFM69HW running. At this point I2C sensors can be used with the controller which will then broadcast the readings via Websockets to a Webinteraface with gauge or to another cluster with the build in RFM69. With the help of some great C/C++ libraries forked for the well kown ESP8266 a future version should be capable of connecting a TI CC1101 or NRF24L01 Plug&Play simply with pin connectors. 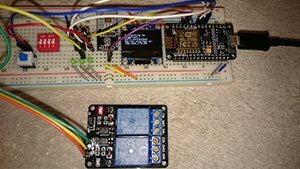 Using an ESP32, ST7735 LCD and RFM69HW. 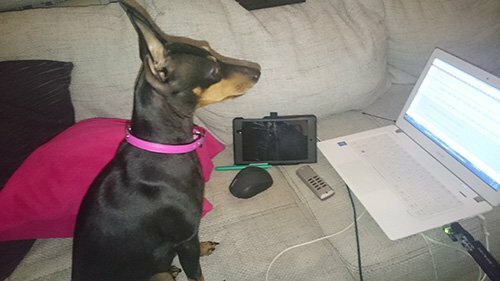 Recording and sending ISM or other signals, or just do Homeautomation.